I tell people that we raise pigs using methods that are great for the pigs and great for the table. It’s no accident that “great for the pigs” comes first in that phrase. I want my pigs to live happy, healthy lives. Yes, it makes for better tasting pork, but pigs are smart, fun creatures and they deserve at least the same care and respect we afford our dogs and cats. Pigs are very adaptable and can live almost anywhere, even in small, confined spaces but that’s not how they would choose to live. Roughly 100 million pigs are raised in the United States every year and about 97% of those are raised inside industrial confinement warehouses. Of the 3% that are grown outside on what we picture in our minds when we think of the word “farm”, the vast majority of those pigs are raised in small dirt confinement areas. The butcher who comes to my farm says that roughly 9 out of 10 pigs he slaughters are raised in small feedlot conditions where the pigs are in a dirt pen without a blade of grass anywhere. 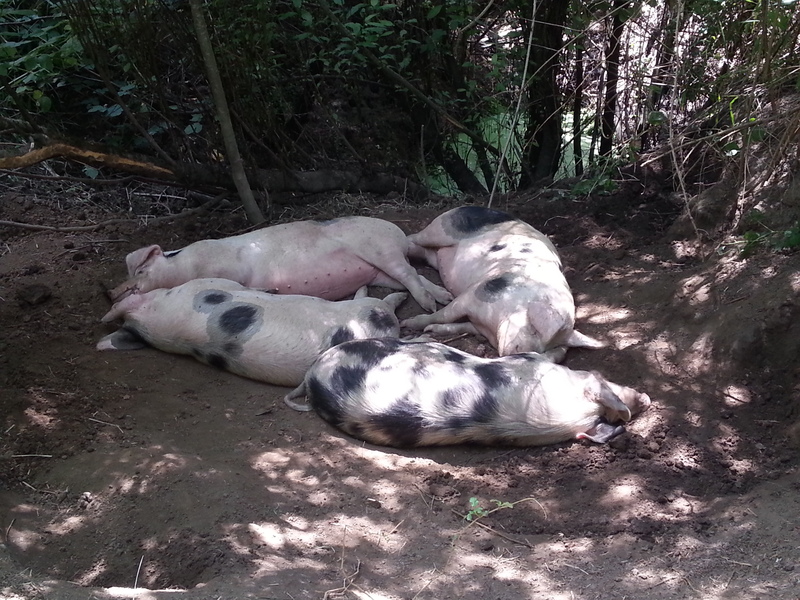 These pigs made themselves a dirt wallow under some trees to escape the heat. We don’t raise our pigs that way. 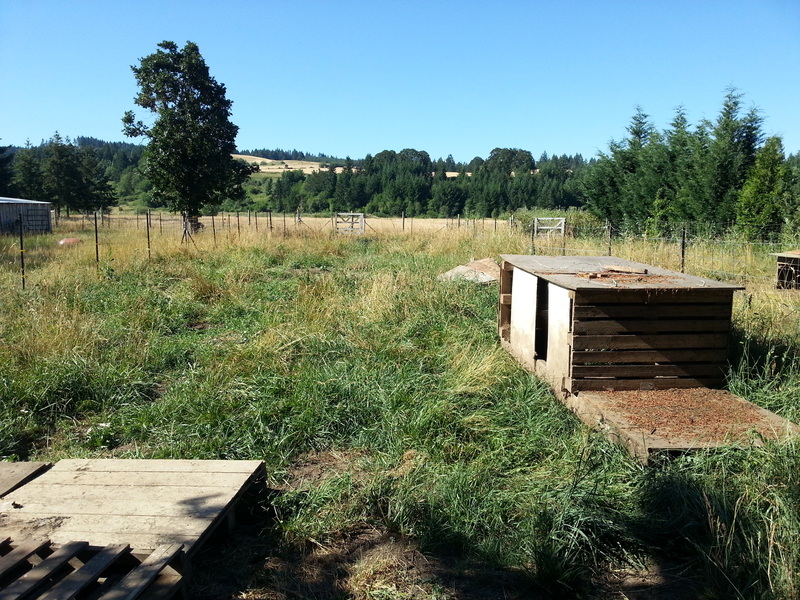 Our pigs are free to roam and root in grass and forest and they make good use of the variety, browsing on green grass, shrubs, and rooting up goodies from the earth. Their diverse diet provides great flavor to the meat, but more than that, it lets pigs be pigs. They get to decide what to eat and whether they want to rest in the grass, under trees, or in the shelter we built for them. They chase each other around and roam free. When they’ve sufficiently beat up the grass in one area, we move them to a new area and let the last grass rest and recover. It takes a lot more land and effort to raise pigs this way, but it’s better for the land and better for the pigs so we put in the extra effort. We respect the carrying capacity of the land and let our pigs be pigs. It really is great for the pigs and it tastes great too. How Big Is Half A Pig? 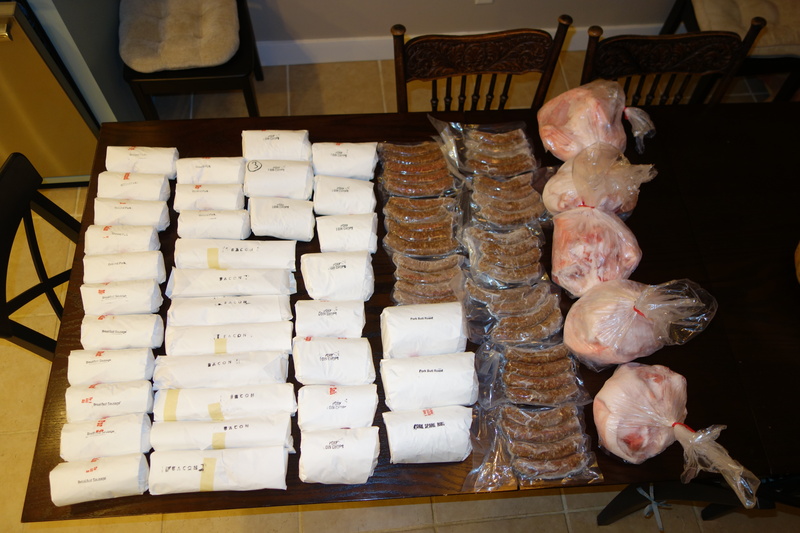 Every week I talk with people who are interested in buying a half-share of pork, but they’re not sure how much freezer space it will use. I picked up this half-share of pork from The Meating Place in Hillsboro recently and thought I’d share some photos to help people visualize the volume. This represents half a hog (hanging weight 93.5 pounds for the half-share). 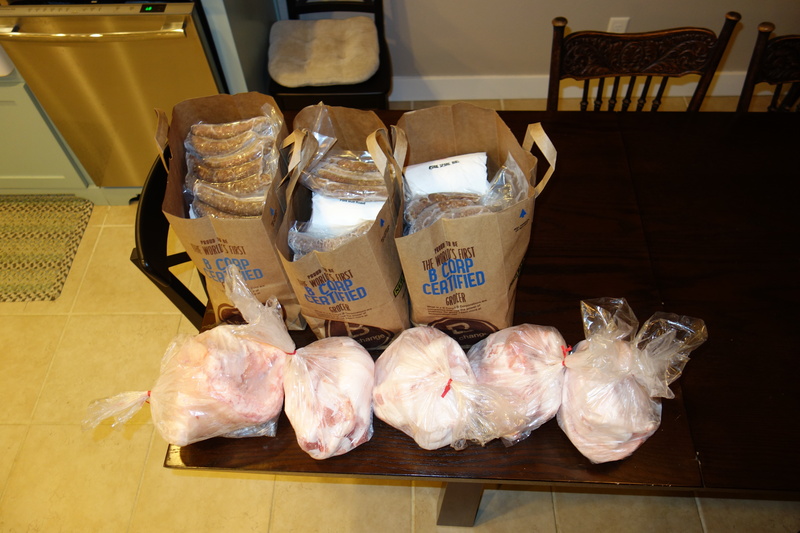 The meat fit into a 100 quart cooler (the five bags of fat shown on the right fit into a separate box). This is about the same volume as three grocery bags. 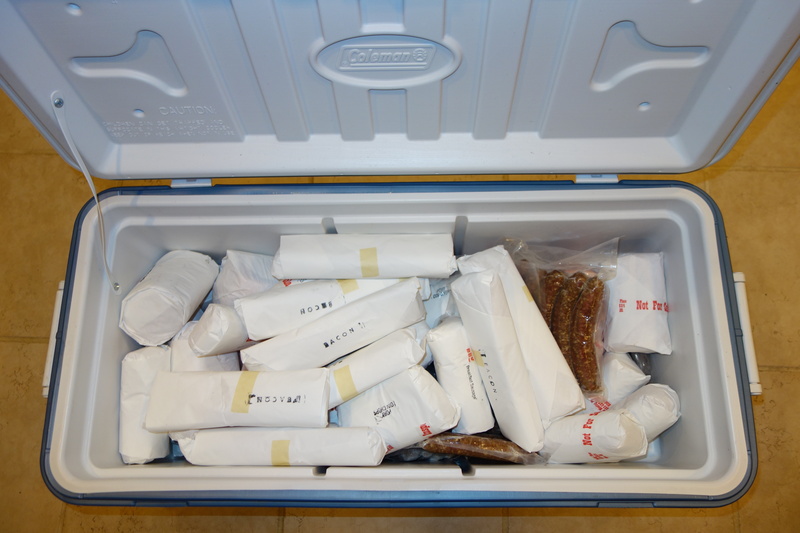 In terms of freezer space, it’s more than you’ll want to try and cram into your refrigerator freezer. A very small chest freezer (8 cubic feet) will hold all of this easily. If it seems like a lot of meat, it somehow disappears faster than you think. Whenever I open my freezer, I want to take out and start cooking everything. Who says pulled pork isn’t breakfast food?